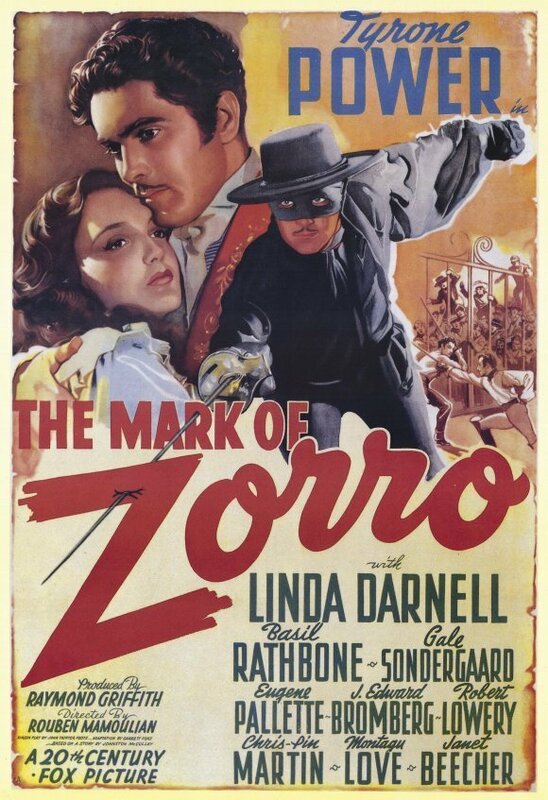 Regarded by many as the finest telling of the Zorro legend, the Mark Of Zorro was nominated for a 1940 Oscar for Best Music. Tyrone Power stars as 19th Century nobleman Don Diego de Vega, whose father, the mayor of Los Angeles, is removed form office by the sinister Captain Pasquale (Basil Rathbone), and a now corrupt "alcalde". By day, the crooked politicians rob the citizenry at every turn, and at night, Don Diego wearing a mask, defies their laws and avenges the innocents. As he leaves his trademark-the letter "Z"-wherever he goes, he also leaves an impression on the mayor's niece, (Linda Darnell), who can't help but love the hero in disguise.